After their father died, after the funeral, their mom had to go back to Hong Kong to sort out their belongings back there. Shannon and Brandon had to go stay with their aunt and uncle for several weeks in Canada. Shannon had this blankie that she carried with her everywhere, and for whatever reason her aunt decided that it was time for Shannon to stop using a blankie. Brandon stood up for Shannon, and put his hands on his hips and was yelling at their aunt to give Shannon back her blankie. This role of protective older brother was one that Brandon would continue to fulfill throughout their lives. Brandon was super sharp, smart, and theatrical and he loved to tell stories and capture the attention of the room. Brandon was able to sell any story he told. When they were kids, Brandon had a fort he had made in their backyard of plywood, complete with a padlock to keep out their mom (even though she had a key.) One day, their mom was walking past the fort and she heard meowing coming from inside. She got her key and discovered a little kitten that Brandon had been keeping in his fort. When Brandon got home from school, she said, “What are you doing with a kitten in your fort?” He said, “Oh my god, mom, you’re never going to believe this. I was walking home from school, and I found this kitten, it was near death. It was in the gutter, it was all dirty, it had ants crawling on it. I didn’t know if it was going to live, so I brought home and I cleaned it up, and I was just keeping it in my fort. I honestly had no idea if it was going to live or not, but I think he’s going to make it! He looks ok.” Their mom’s heartstrings were being tugged, and she went on about how amazing it was that Brandon had nursed this kitten back to life. They named the kitten Samson because he had the strength of Samson to rise from near death. They came to find out years later that Brandon’s friend’s cat had just had kittens and Brandon just brought a kitten home. Brandon always knew that he wanted to be an actor. He would put on his own plays. One time, he copied down word-for-word a few episodes of the Twilight Zone and stage directed them at school. Even though it could have been daunting to go into acting like his larger than life father Bruce Lee, Brandon saw himself as different from his father because Bruce Lee’s passion was martial arts and Brandon’s passion was acting. Brandon was an artist through and through. Brandon eventually started to study martial arts around the age of 19, and because he was naturally coordinated he was able to pick it up quickly. He studied at the Inosanto Academy with Dan Inosanto and picked up proficiency in muay thai and JKD, and while he enjoyed martial arts it was not his life’s passion. Brandon studied martial arts because he kept being asked to do action films, but ultimately wanted to be a real actor and not be stuck in action roles. Fun epitomized Brandon. He loved to play jokes, and had a big boisterous laugh and a huge smile. He was a daredevil and used to skateboard and ski, he was constantly breaking bones, getting stitches, and even knocked himself unconscious a few times. He was always building rickety skate ramps in the backyard. Brandon loved nature. From when they were young, their mom would take them on camping trips and he continued to love nature and camping as a teen and adult. He went on Outward Bound (and intense camping trip) and could read a topographical map. When he was an adult he would take his motorcycle and go on solo camping trips. On one such camping trip, when he was around 19 or 20, Brandon rode up with some friends and then he went off on his own into the wilderness. He ended up in a meadow when a rainstorm hit. He threw up the tent, but it was old and had holes so it was waterlogged and leaking, barely keeping him protected. Here he wrote some journal entries. Even though Brandon struggled with being Bruce Lee’s son in the acting industry, he knew what he wanted and did not rely on the legacy of his famous father. 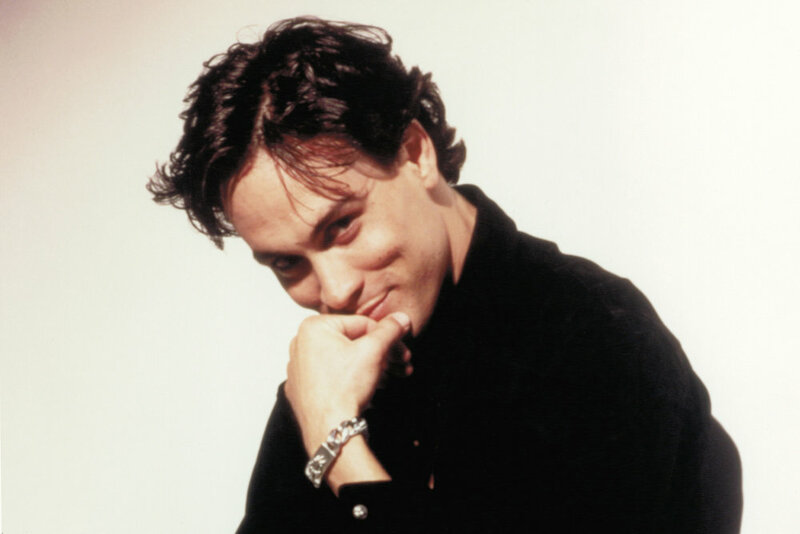 With just the short time that Brandon was working in film, he had begun to be recognized as Brandon Lee, not just as Bruce’s son. Shannon firmly believes that her brother Brandon was set to be a major star. “The Crow” was critical from the soundtrack to the look. When the film came out, even though it was ultimately the film that ended her brother’s life, Shannon went to go see it because she knew how proud Brandon was of his performance and how excited he was to do this project. Shannon felt that there was no way that she could not go see this movie, even though it was hard to do. She went and saw it and Brandon was phenomenal in it. Brandon was incredible in “The Crow” and touched so many people with his performance. The bittersweet aspect is that the film and the role Brandon played are both so dark, and Brandon himself was so light. Shannon wishes that Brandon’s fans could also know his literary, nature-loving, goofy, soul. Brandon was the only other person who walked in shoes similar to Shannon. Even though they were four years a part, they had a deep bond between them. Brandon died just a few weeks before his wedding and he had asked Shannon to be his best man. While they lived a part when they were adults, the times that they spent together were very meaningful. Shannon always knew that he was there for her, and that he still is.